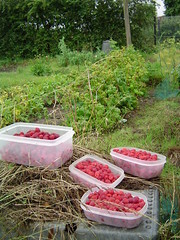 be involved in summer pruning, planting vegetables or thinning fruit. There are normally plenty of tourism jobs available during peak summer and peak winter periods. If you have previous experience it’s easier to get these types of seasonal jobs. Ski Instructors – Heading to ski resorts such as Queenstown just before the winter season kicks in is a great time to find all sorts of work such as ski / snowboarding related work and of course bar work as well. Bus driving – look into becoming a backpacker bus driver in New Zealand for example, many backpackers on a working holiday visa end up doing this job as you get paid to travel around the country and meet other backpackers! Customer Service – there are hundreds of tour and activity providers in New Zealand and all need staff to work on the front desk, on the phones, in the booking offices. Ask around! Vehicle detailers – hiring a campervan is very easy in New Zealand with lot’s of rental companies, based mainly in Auckland. With so many vehicles this means plenty of work cleaning them, especially during summer! Hostel work – There’s plenty of potential in hostels for work, from cleaning, to reception to working in the bar, if there is one. Apply just before peak summer season for your best chance of getting the job. Bars, cafes and restaurants are always looking for staff, but especially during the summer season in any tourist hotspot (which are all over New Zealand). Usually no previous work experience is needed to apply for these jobs. The wide range of positions available makes it possible for everybody to travel through New Zealand and experience seasonal work. All you need to bring is being fit, enthusiastic and reliable. Northland is rich in culture and history and has an unspoiled countryside to offer. For this area horticulture has been already long time an important part of the local economy. The main crops in this region are kiwifruit, citrus and avocado, with work available almost all year round in picking, thinning, pruning and packing. During the whole year you can find crops like asparagus, strawberries, kiwifruit and apples in the area of Waikato. Regarding that it is not surprising that this region is the country’s most diverse range of horticulture production. New Zealand is responsible for 35% of the world’s ‘kiwi’ or kiwifruit trade. The Bay of Plenty is the nation’s largest horticulture export. Important crops are avocado and citrus, all supplying work for 11 months a year on the orchards or inside the pack-houses. The Hawke’s Bay region is another really important area for New Zealand as it’s the largest growing region with the largest range of produce. More than half of New Zealand’s apples are produced there and 40% of the nation’s summerfruit, or stone fruit. Therefore, seasonal work opportunities are nearly whole year round. The Wairarapa area is known for its gourmet food, premium wine and heritage buildings. Moreover it has native forests, mountains and awesome beaches. Martinborough in the Wairarapa region is internationally renowned for its pinot noir production. Vineyard owners and orchardists especially need people to work at harvest time in the New Zealand autumn and on into winter for pruning. Nelson is known as a popular holiday destination for New Zealander and other visitors. With its average high sunshine hours per day it is also a valuable horticulture region. Nelson is the second largest apple production area of New Zealand and it has a rising wine industry, which means that there are many jobs available on vineyards. Marlborough is one of the major wine growing areas and has a lot of job opportunities to offer which includes most of the time working outdoor. Some of the world’s best white wines come from there, with Marlborough’s sauvignon blanc in particular enjoying a stellar international reputation. The summerfruits are located in the Central Otago region, between the South Island cities of Dunedin and Queenstown. These fruits are all stone fruits including cherries, apricots, peaches and nectarines.